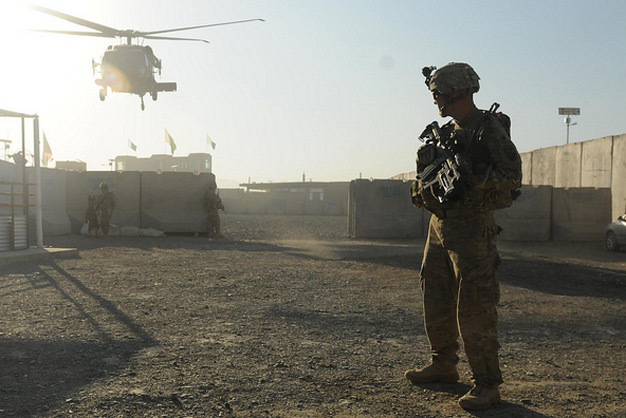 An American soldier with Bravo Troop, 2nd Squadron, 38th Regiment, 504th Battlefield Surveillance Brigade, pulls security at the Weesh Border Crossing during a visit from a distinguished visitor. During a typical day at the crossing, thousands of vehicles and people on foot pass through the crossing bringing and taking goods to and from Pakistan. Photo by the US Army.